Note: this item does not qualify for free shipping. Please contact us for a shipping quote. Looking for a fun and exciting way to enjoy cycling together? Consider a tandem eBike! 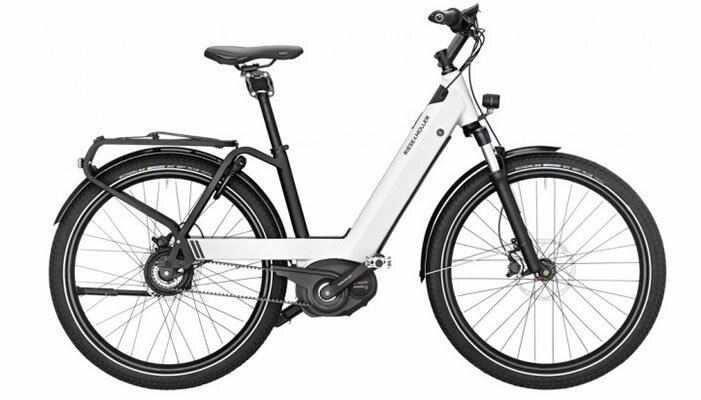 The Bosch Performance Line mid-drive helps power you up hills, fights the wind for you, and you can go longer distances! 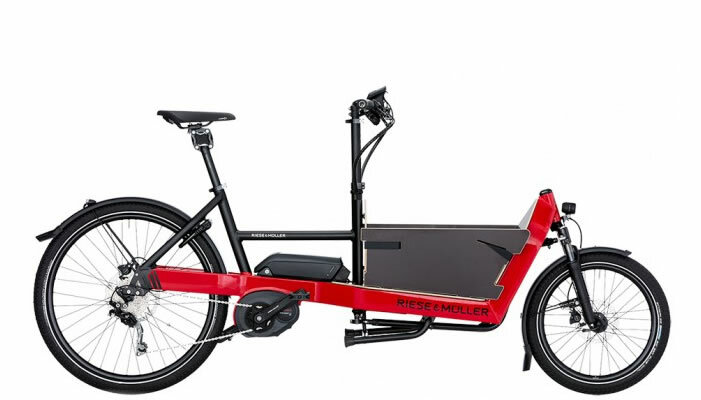 With a tandem electric bike such as the Gepida Thoris, you don't have to worry about mis-matched abilities with one rider having to wait for the other and you can easily talk (no more shouting!) 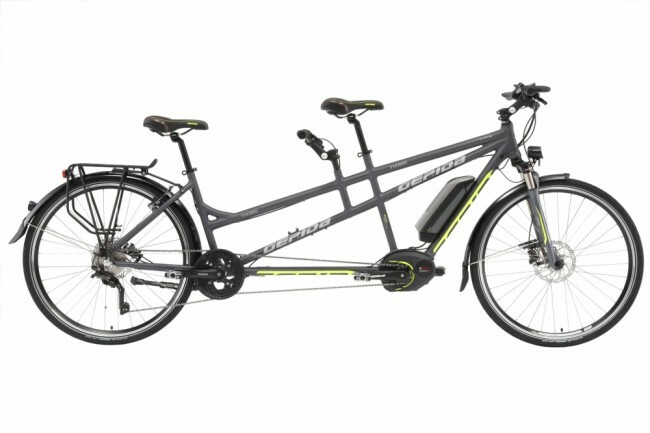 Tandem eBikes are ideal when the "stoker" or second rider would prefer to just enjoy the scenery than worry about traffic, gearing, and all of the other reasons they may not ride as much as the "captain" or first rider. 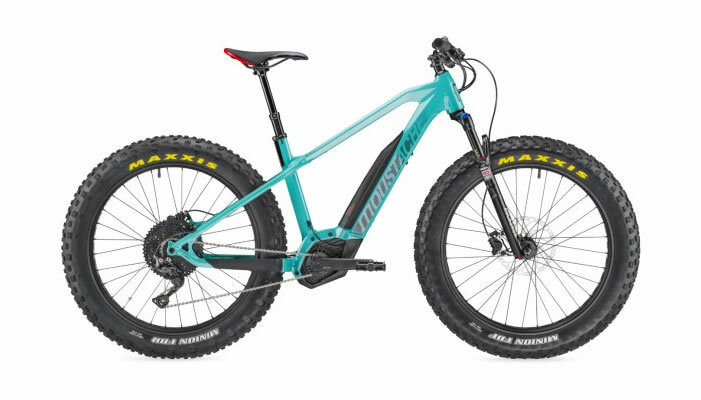 With powerful hydraulic disc brakes you'll be able to stop your tandem down the steepest hill, and the stoker even has their own linear pull rim brake should they want to have some control over the speed. 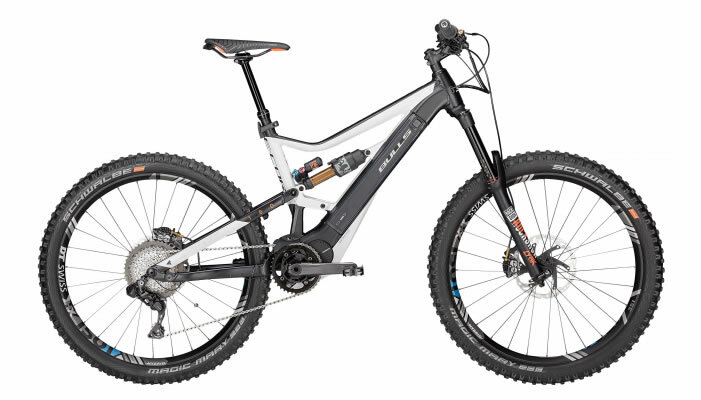 The front suspension fork helps smooth out the ride, and you also get fenders, lights and a rack for comfort. Schwalbe Engergizer Plus tires have a good level of puncture resistance.